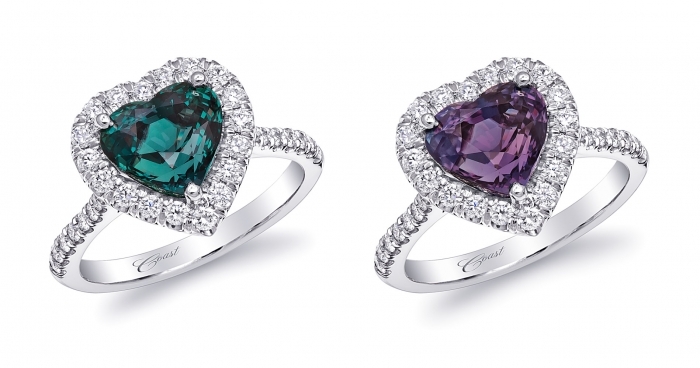 This magnificent ring features an extraordinary Alexandrite which changes from purple to green under different light sources - a truly spectacular piece of jewelry. 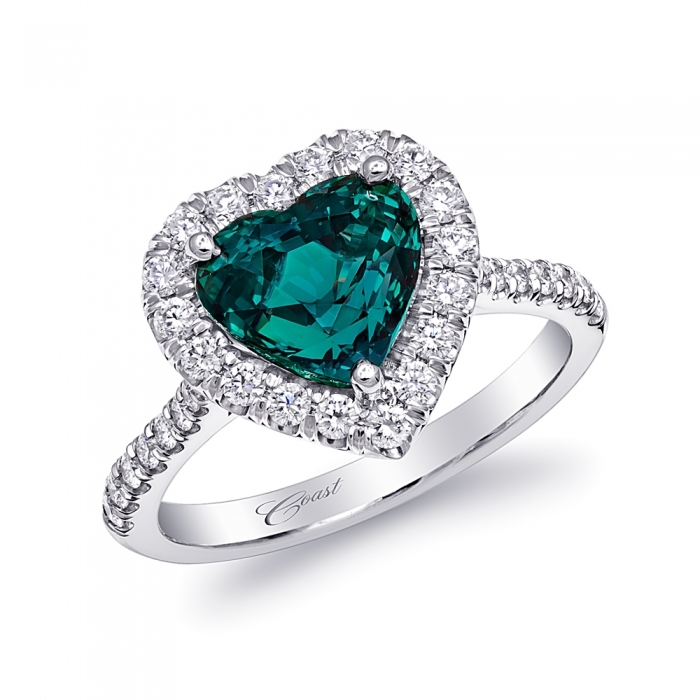 Center stone: 3.13 ct heart-shaped alexandrite with AGTA report. Set in platinum. DIAMOND WEIGHT : 0.48STARTING PRICE : Please call your authorized dealer. 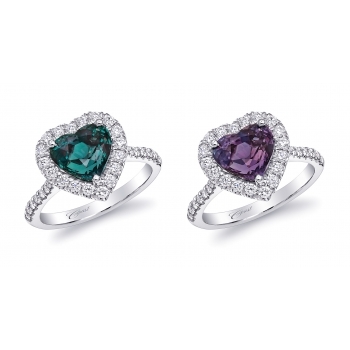 * Available in (14K or 18K) White, Rose, and Yellow Gold or Platinum. Starting price based on 14K white gold and head size shown. Prices may vary according to shape and size of the center. Please call your authorized Coast retailer for details. Prices are subject to change at any time and are shown in US Dollars.